Russell Wilson is now the highest-paid player in NFL history. 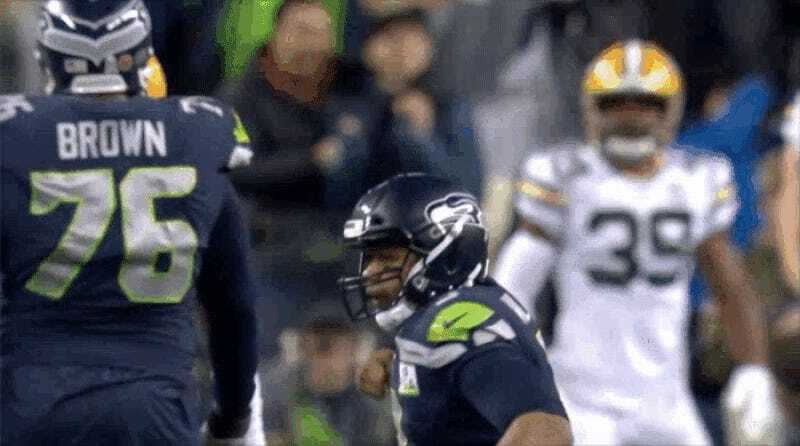 Just before the midnight (PDT) negotiating deadline Wilson’s camp had set with the Seahawks, the two sides agreed to an extension with a max length of four years and a max value of $140 million. Wilson had indeed tried to use his extraordinary leverage to wrangle a groundbreaking contract structure. The Seahawks wouldn’t budge, but in the end Wilson got two other things he wanted. Interestingly, for as rich as Wilson’s deal is—and for as lucrative as QB contracts keep getting—that APY will only rank fifth all-time in percentage of the cap at signing, according to Overthecap.com. This year’s cap is $188.2 million, which means Wilson’s $35 million in APY comes in at 18.6 percent. Somehow, Brett Favre’s still the all-time leader in percentage of the cap at signing (19 percent), on a deal with $7.87 million in APY that he signed in 1997. Wilson’s camp had set a deadline of April 15, presumably to get the deal done before the offseason program got going, but also perhaps to get an early read on where the Seahawks stood. With Wilson being repped by Mark Rodgers—whose primary work is in baseball—it was fair to wonder whether Wilson might maximize his leverage, even if that meant a refusal to compromise. The two sides reportedly began bargaining in earnest on Friday. The talks could have gone any number of ways, with the franchise tag sitting right there for 2020.